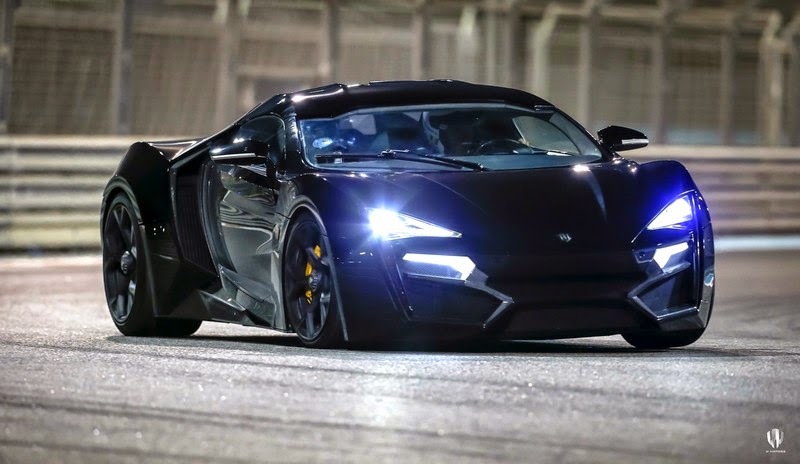 Dubai - April 7, 2015: W Motors, the first Arab developer of high performance luxury sports cars based in the United Arab Emirates had its notorious Lykan HyperSport featured in the latest Fast & Furious 7 blockbuster as the hero car of the movie! 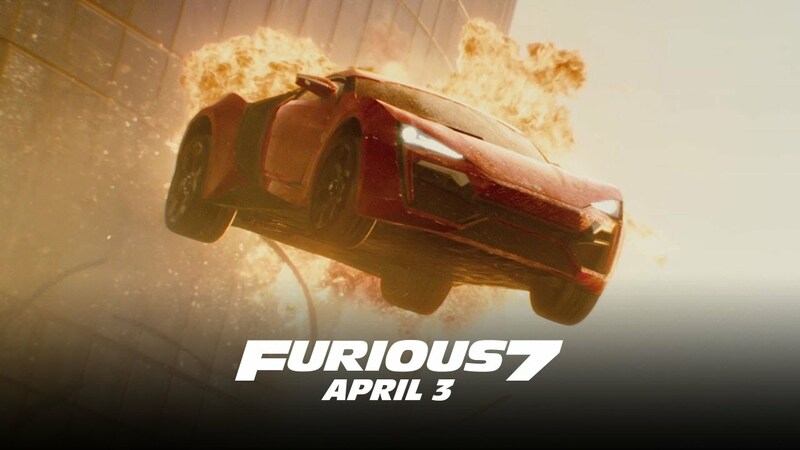 Released during the first week of April 2015, the movie already broke the box office record by gaining more than 400 million Dollars during its first opening week. 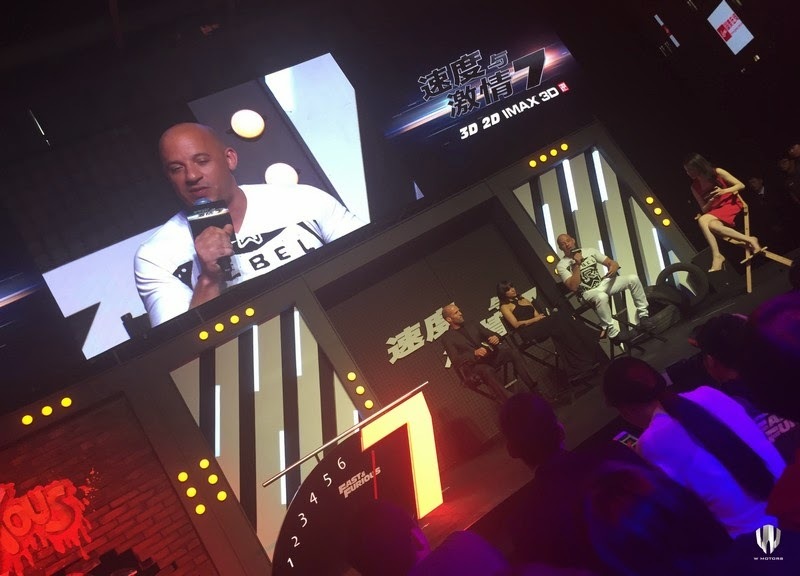 Earlier this month, it is in Beijing that Universal launched the press conference of Fast & Furious 7 for the Asian region in the presence of the film’s stars Vin Diesel, Jason Statham, Michellle Rodriguez and the Red Lykan HyperSport as the highlight of the press event. 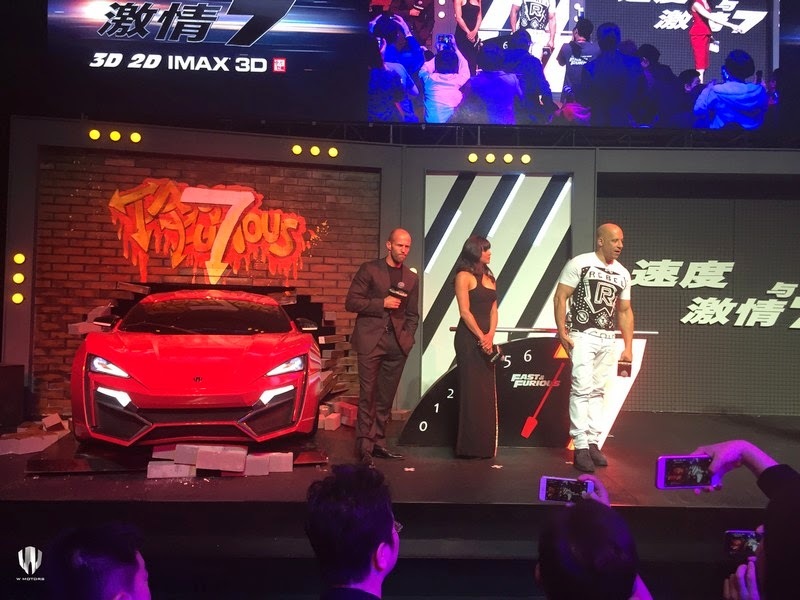 For the first time in the multibillion-dollar franchise, Vin Diesel chooses to drive a hypercar along his famous black dodge charger. 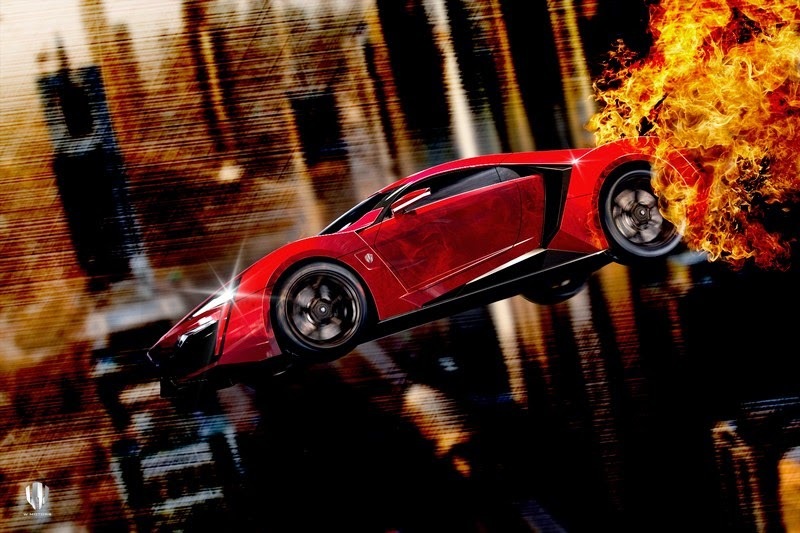 For this seventh movie, Universal producers and stunt coordinators needed a car that was really different from the ones driven in all of the previous Fast and Furious movies, “something that they don’t see everyday” stating that “what makes the Lykan HyperSport so special is that it is so rare, exclusive, unique and to top it all the first United Arab Emirates based Supercar”. 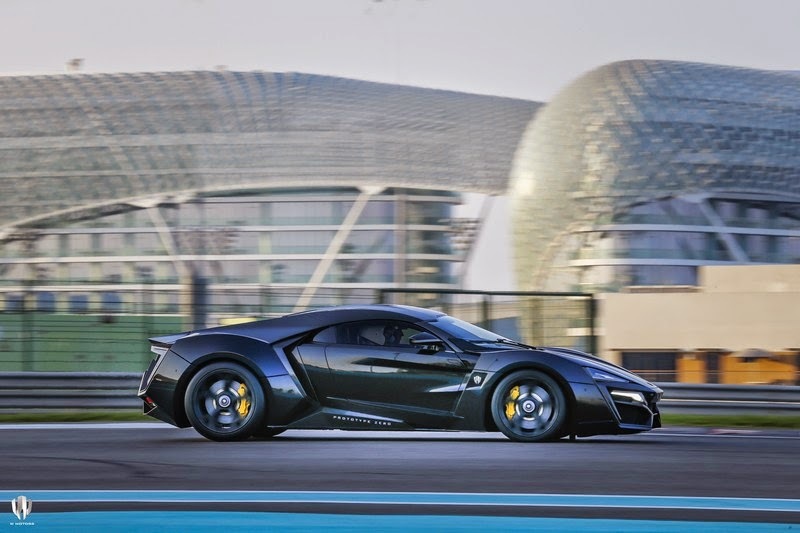 As for the incredible scene that stole the spotlight and got the whole world’s attention, the Lykan HyperSport jumps through three of the Etihad Towers in Abu Dhabi, breaking the buildings’ facades until it plunges 45 floors before hitting the ground. 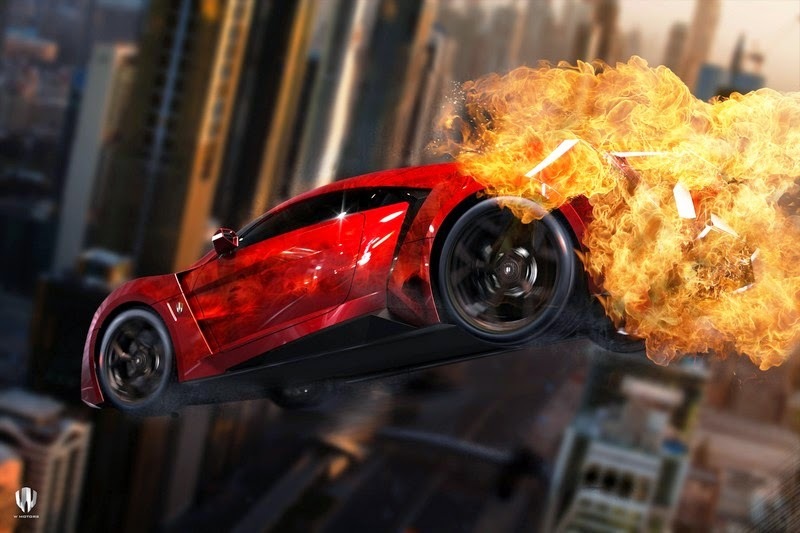 This impressive stunt was the first of its kind amongst all of the courageous stunts performed throughout the Fast & Furious franchise. 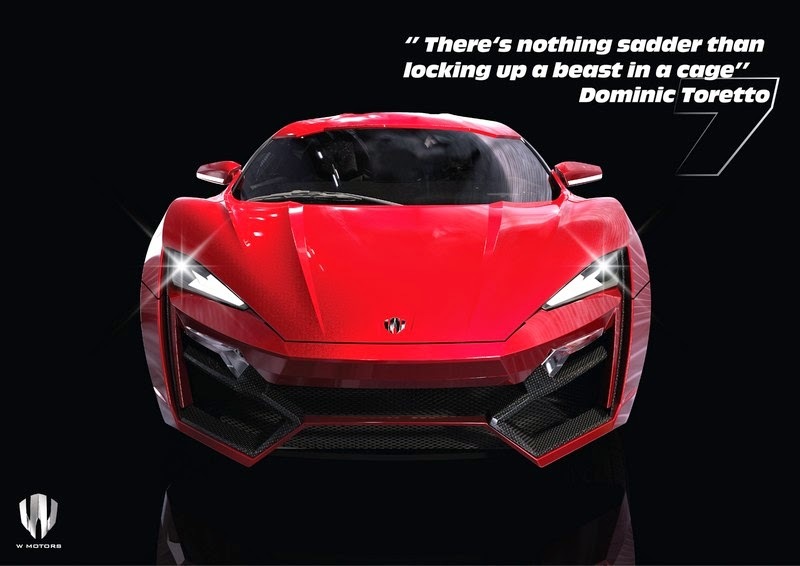 Speaking of the Lykan during the key movie scene, late Paul Walker’s character Brian O’Conner states excitingly: “There are only seven of these in the world and this guy keeps his locked up in a vault” with Vin Diesel’s character Dom reply: “There’s nothing sadder than locking a beast in a cage,” before taking it out for a little spin. 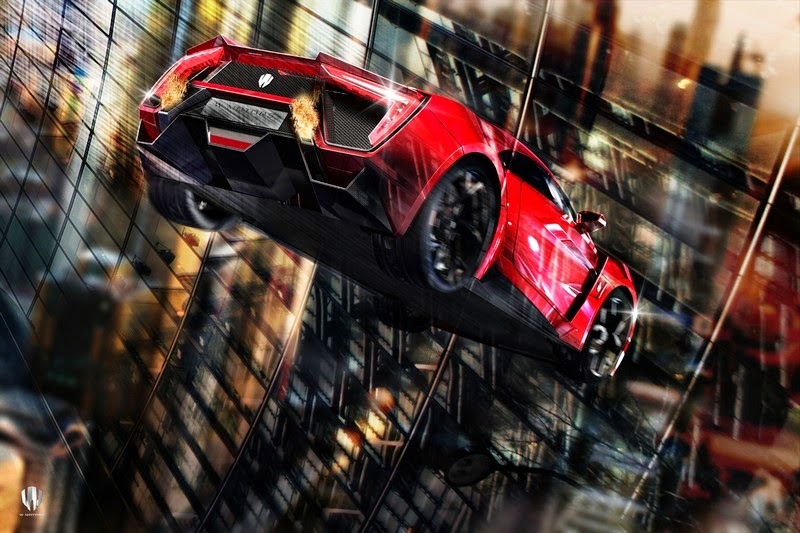 According to Ralph R Debbas, Chairman and CEO of W Motors Company, several Lykan cars were built to ensure the success of the thrilling stunts carefully choreographed for this movie. 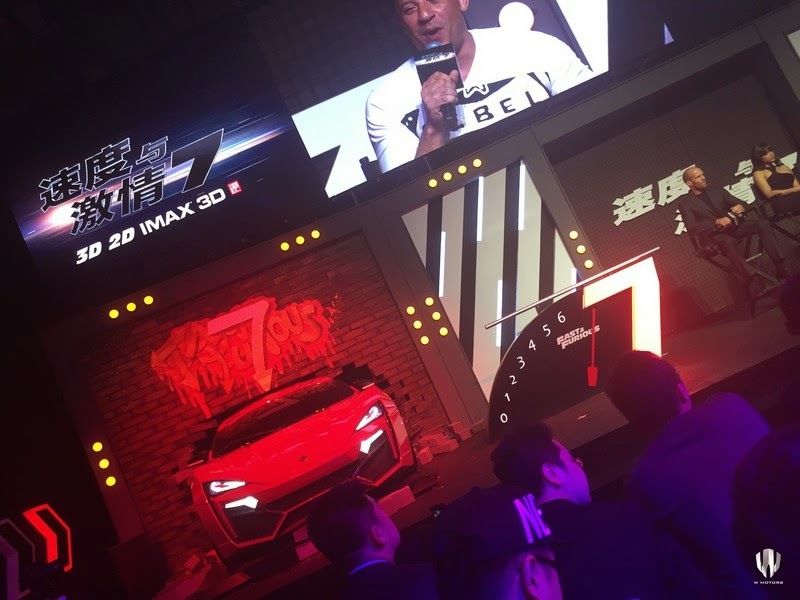 W Motors CEO states: “It is an honor for us to be featured in this Hollywood blockbuster and to have been part of the team who have worked very hard to pay tribute to the late Paul Walker. 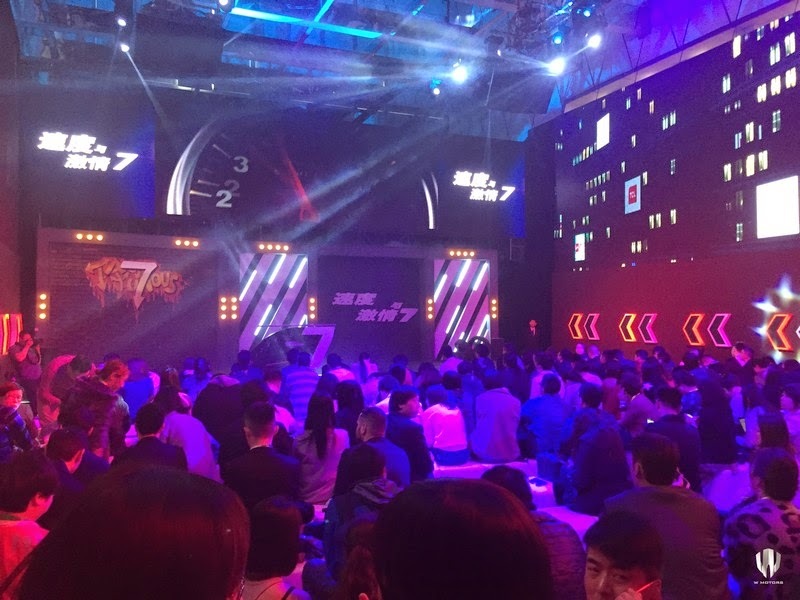 The whole adventure has been thrilling from the start and we are gaining tremendous exposure and international recognition since the release”. 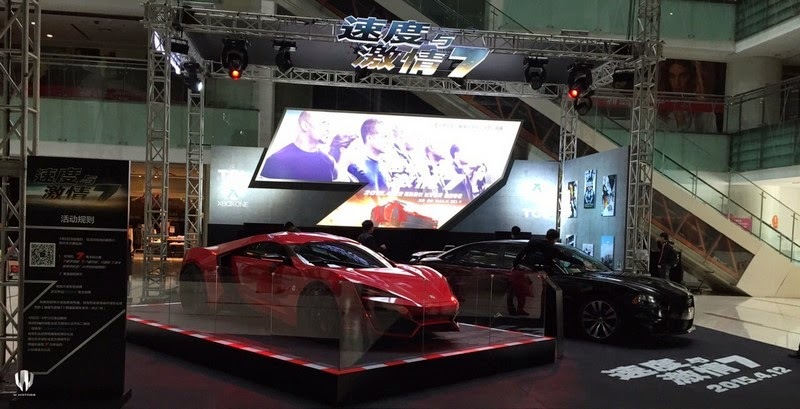 Following its first appearance in Beijing China, at the Fast and Furious 7 press conference, the Lykan HyperSport will be making its first Asian debut at the Shanghai International Auto Show that opens its doors from April 20th till April 29th 2015. 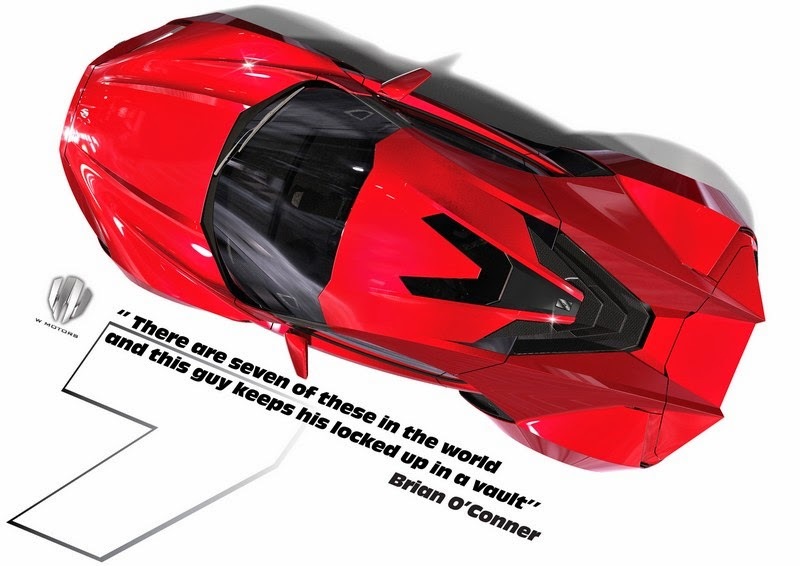 A real marvel, the Lykan HyperSport comes with a plethora of unique features. A Flat 6 twin-turbo mid-rear engine, offering 780HP and 1000NM of torque, 7 Speed Dual Clutch transmission, 0 to 100 KM/H in less than 2.8 seconds with a maximum speed of 395 KM/H. It also features a one of a kind holographic display with interactive motion and tactile interaction, an advanced ID4Motion dashboard and a uniquely developed reverse mechanical doors system. Adding a touch of modern luxury, the “Lykan” comes with diamonds and sapphires encrusted LED lights, a 24h/24h Global Elite concierge service provided by Quintessentially Lifestyle and an exclusive watch specially designed by Franck Muller Geneva and dedicated to “Lykan” owners only. 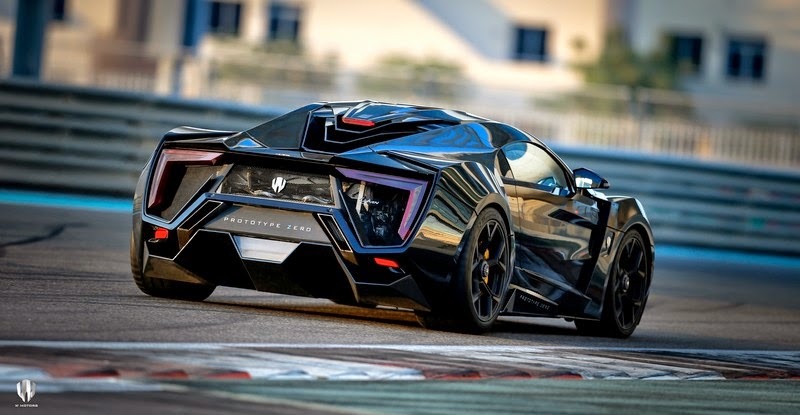 W Motors is the first automotive manufacturer of high performance luxury sports cars based in the United Arab Emirates. 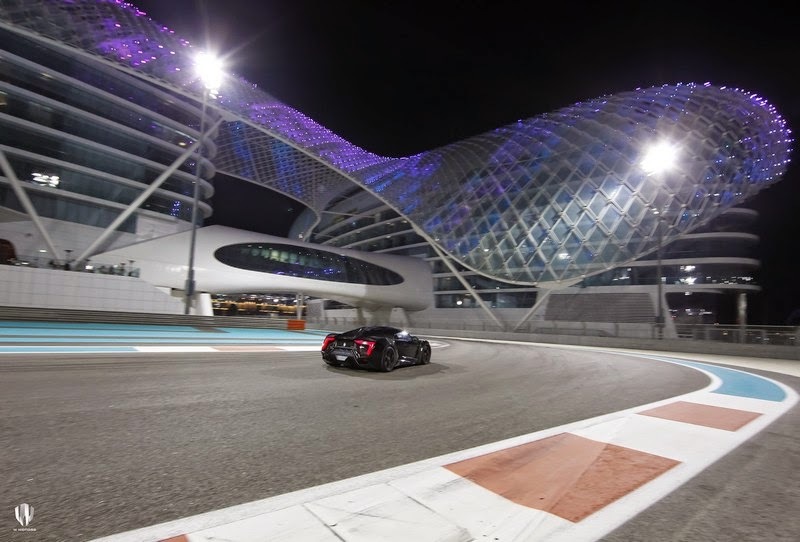 The Company plans to move its assembly and production facilities from Torino Italy to the UAE and has also relocated its headquarters to Jumeirah Lake Towers where the team will expand progressively along the coming years to accommodate the expansion of the Company. 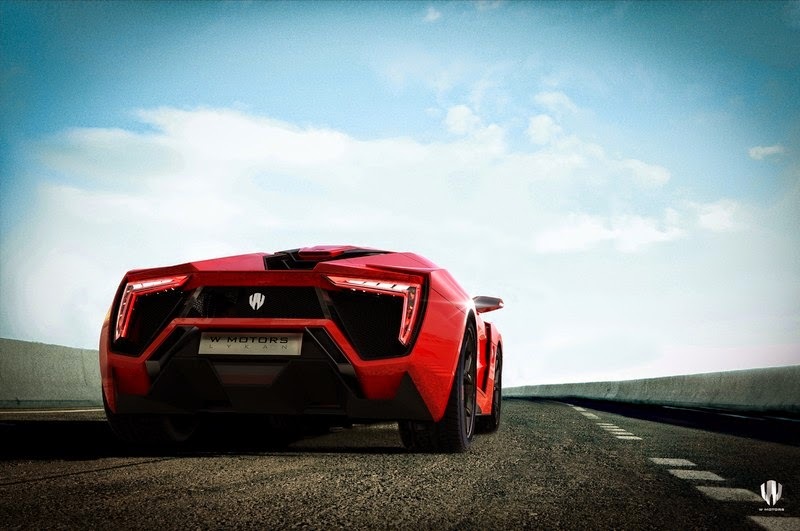 Established in 2012, W Motors is the first automotive manufacturer of high performance luxury sports cars based in the Middle East. 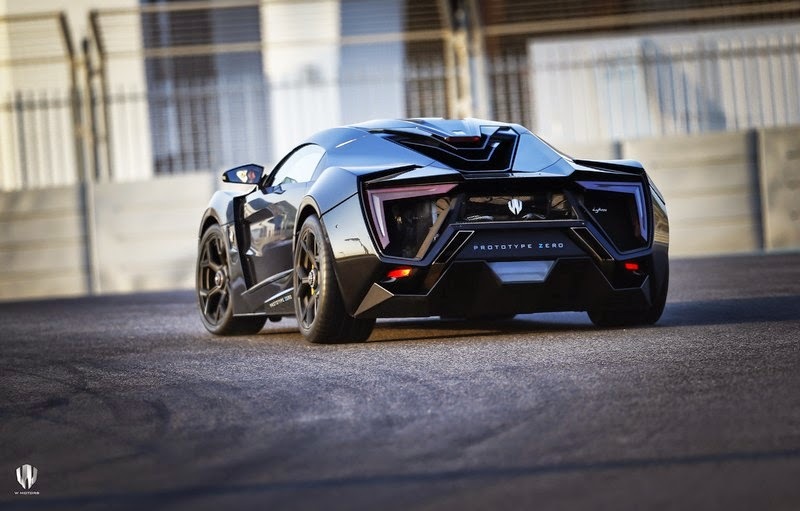 Following a successful launch at the International Qatar Motor Show in 2013, W Motors pursued a regional and international road show through private VIP exhibitions, international events and motor shows where the Lykan HyperSport was showcased in: Dubai, Abu Dhabi, Kuwait, Belgium, Spain, Italy, Monaco and China. 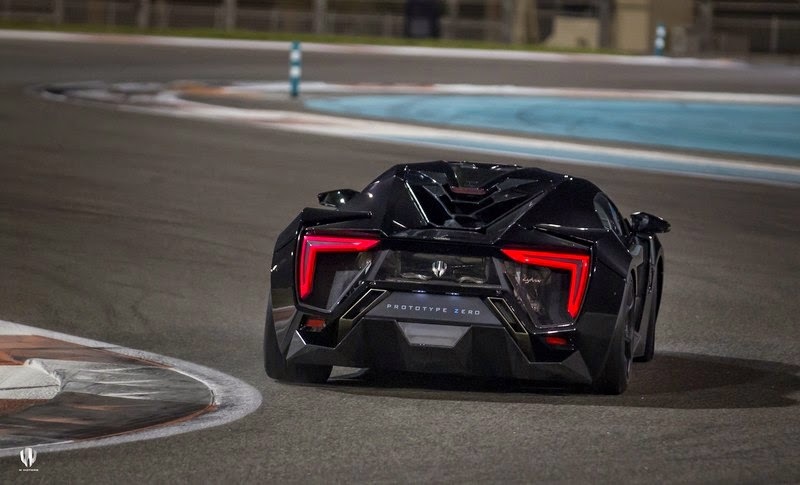 Last December 2014, W Motors showcased the Lykan HyperSport Prototype Zero through a private event held at Yas Marina Abu Dhabi where the VIPs and media witnessed a thrilling track experience on the Formula 1 circuit. 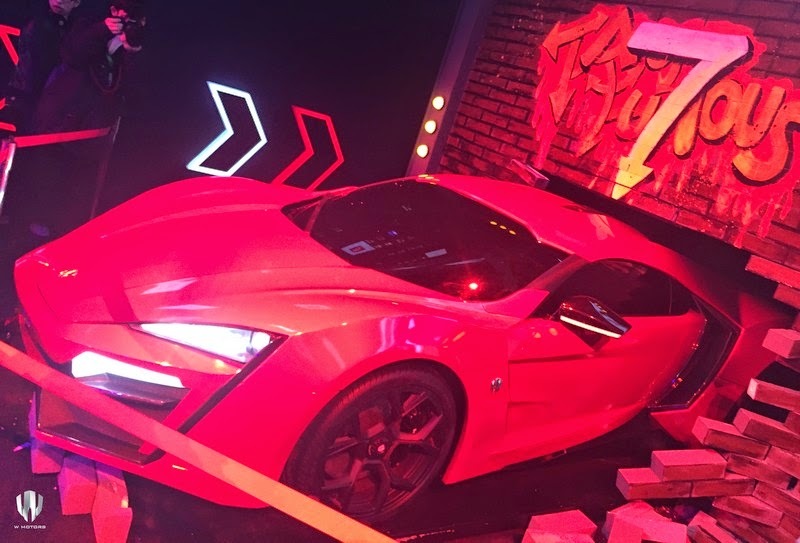 W Motors has officially partnered in 2015 with several exclusive distributors around the world with prospects to open W Motors concept boutiques by 2016 in Miami, Shanghai, Singapore and Dubai to showcase the exclusive Hypercars and upcoming new models of the brand.